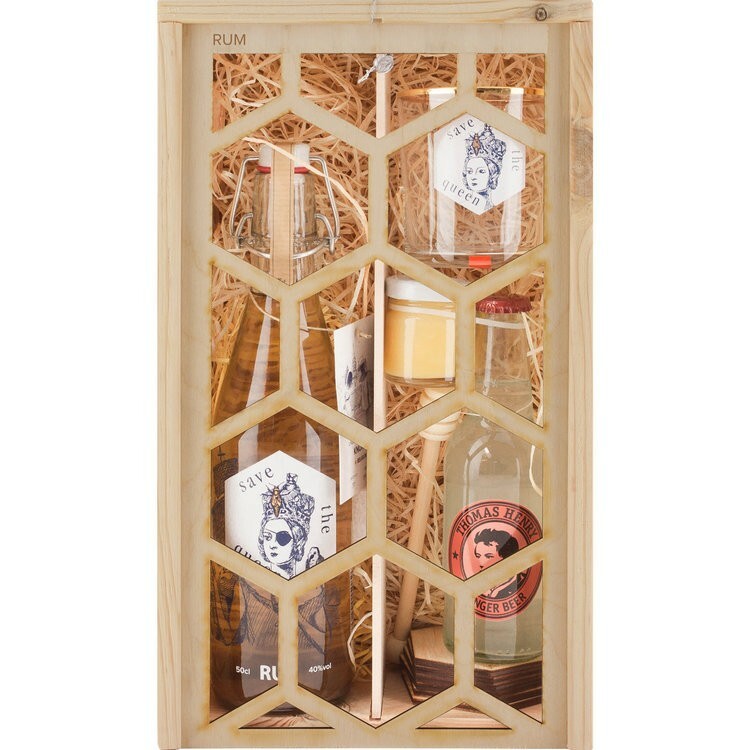 Save The Queen are passionate, Belgian Urban Beekeepers making spirits with pure local urban honey from bees that thrive in our cities. They harvest their golden liquid and create a stable habitat for bees in our society. 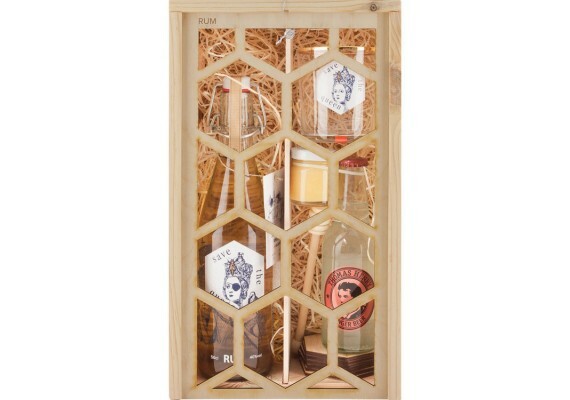 This gift box contains 1 bottle of rum (50 cl), 1 Thomas Henry ginger beer, 1 Save The Queen drinking glass, 1 jar of honey, 1 honey spoon and 6 drink pads. Save The Queen Rum is a blend of 5-year-old rums aged in Bourbon barrels from Barbados, the Dominican Republic and Jamaica. Excellence is achieved by the addition of pure bee honey. This rum is best served pure, on the rocks or mixed with ginger ale and a lime wedge. This bottle contains 50 cl of rum with an alcohol percentage of 40%.